The film was fast paced with lots of twists, and was probably the most exciting history lesson I’ve ever had. I can’t say I was bored for a second, from the start where Lincoln is a young boy, to finish as he rides on his carriage to the theatre where he was assassinated. Quite a few moments in which vampires leapt out of the darkness at Lincoln made me actually jump, and the action kept me on the edge of my seat. One of the characters I guarantee you will become attached to is Will Johnson (Anthony Mackie), Lincoln’s childhood best friend. He gives such an honest performance and really makes his character come to life, always being there to help Lincoln destroy the undead and act as his lovable sidekick. 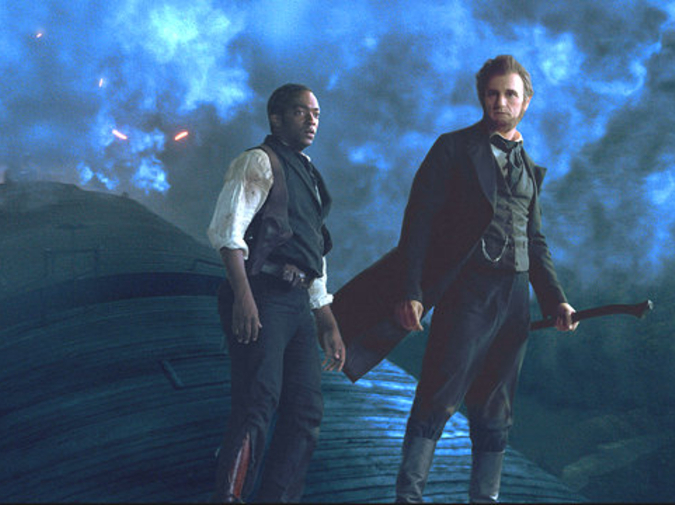 Although I found it strange that everyone in the movie seemed to easily accept the existence of vampires, I guess it’s better than watching Lincoln explain to every character what’s going on and try to convince them. It kept the film moving along, but it wasn’t entirely believable.